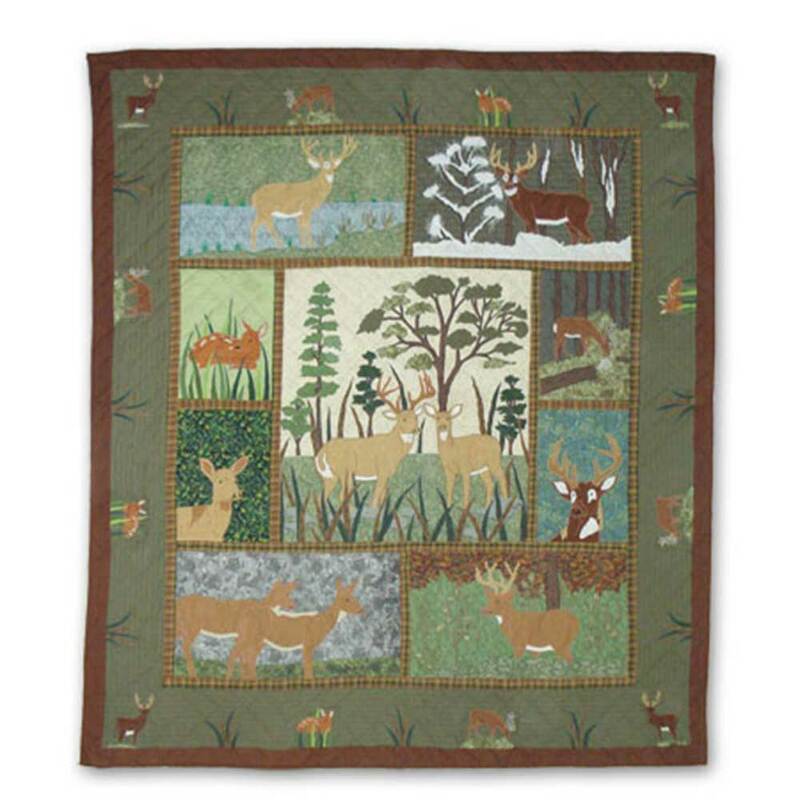 These Elusive deer of the forest finally show themselves in all their splendour in this Whitetails Grove quilt. Forest greens and browns make up the grove with glorious deer and antlers posters. 100% Cotton shell and hand layered organic cotton fill. Hand quilted and hand layered for a unique soft touch and warmth.